JetBlue Airways offers flights to Haiti. 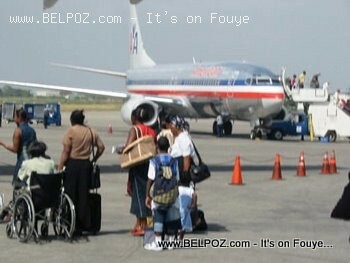 Here is a photo of the first JetBlue flight to Haiti after it landed in Port-au-Prince International Airport. This Jetblue inaugural flight to Haiti was on December 05, 2013, when JetBlue Airways launched its first nonstop flights to Haiti from New York's John F. Kennedy International Airport (JFK) and Fort Lauderdale-Hollywood International Airport (FLL). From now on you can book your flights on JetBlue whenever you want to travel to Haiti to visit our most amazing little country. 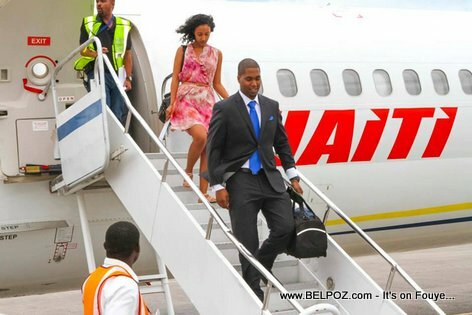 Here is a photo of Haitian airlines passengers walking to board an American airline flight at the Haiti International Airport in Port-au-Prince. Haitians used to call American Airlines 'zwazo an fè a' (the metal bird) back in the days when American was the only flight coming and going to New York. Some still do. 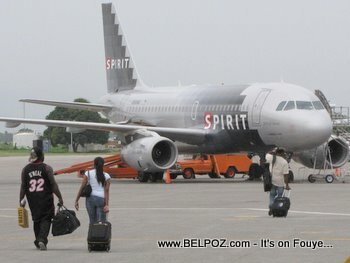 Here is a picture of a spirit airlines flight being boarded in Haiti and a few Haitian passengers walking to board the spirit airlines flight. Here is a photo of American Airlines flight attendant Patricia Sund holding the newborn boy she helped deliver in the back row of a 737 as it flew from Haiti to Florida. Reports say that the investors hope it will help bring tourists back to Haiti. Tortug' Air is a domestic airline in Haiti, and serves as Haiti's national flag carrier. The airline was founded in March 2003, and is based in Port-au-Prince. 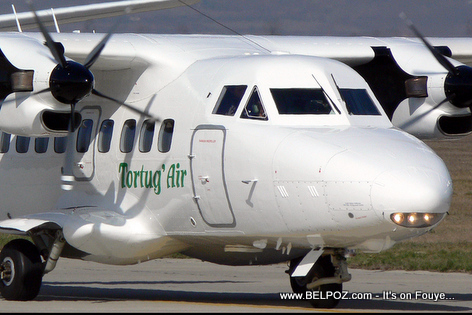 Tortug' Air serves six destinations within Haiti, including the capital Port-au-Prince, the northern city of Cap-Haïtien, and the southern city of Jacmel. Sunrise Airways is a new Haitian owned commercial airline launched in November 2012 that aims to establish a hub in Port-au-Prince to better serve air travel needs within the Western Caribbean. Sunrise Airways currently operates daily scheduled passenger service within Haiti, as well as charter service to various gateways throughout the Western Caribbean. 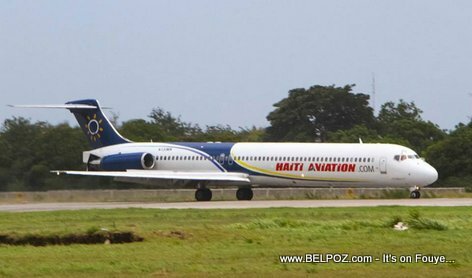 Haiti Aviation is a new airline company run by Haitian investors. 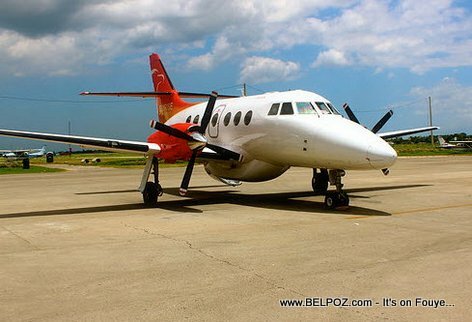 Haiti Aviation offers flights from Miami to Port-au-Prince.